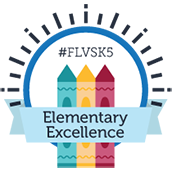 Passing these bills means FLVS Flex Elementary students can continue their education with FLVS, allowing them to learn from the hospital, abroad, and from home without restriction. FLVS Elementary students helped us prepare for the day by drawing pictures and writing letters to legislators that were compiled into a booklet and distributed – and autographed by the students in attendance! 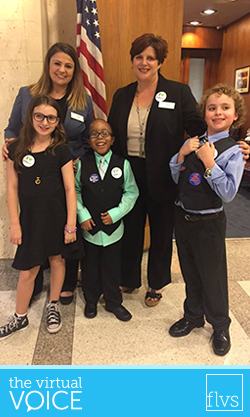 FLVS parents and students shared their stories openly and honestly about why FLVS is the right choice for them, and our legislators loved meeting our little ones. In many of the meetings, it wasn’t a rare scene to see the students sitting behind the legislator’s desks, giving high fives, smiling for photos, and even showing off some pretty cool dance moves (and successfully getting a few legislators to join in). One of the first graders in attendance was overheard telling his mom that it was “the best day ever,” and I couldn’t agree more. The day was a success, but it wasn’t all business! After many meetings, the FLVS gang was invited to visit and take a tour of the Governor’s mansion! The group loved learning about the mansion’s history and were in awe of its beauty and size. That same week, House Bill 833 passed its final committee in the House and will be headed to the House floor. In addition, Senate Bill 868 passed its first committee in the Senate, and is headed to its second tomorrow, April 18. Unanimous support all the way around so far! As a bonus to the day: FLVS was recognized on both the Senate and House Floor, and a resolution celebrating the upcoming 20th anniversary of FLVS was read. 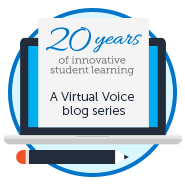 Fingers crossed that we will start off our 20th year with access to virtual education for all students! To see more pictures from FLVS Day at the Capitol, please visit the FLVS Instagram and our Facebook photo album. This entry was posted in Educator Edition, Homeschool Edition, Parent Edition, Student Edition and tagged Day at the Capitol, Elementary, Florida Education, FLVS Day, FLVS Day at the Capitol, FLVS Flex Elementary, FLVSK5, Kindergarten, Legislation, Legislative Updates, Online Learning on April 17, 2017 by Guest Blogger. Yes!! I sure hope this passes! Thank you to those who are fighting this fight!